You thought those three-hour finales for “The Apprentice” stretched things out. The four day Republican National Convention (MSNBC, 5p.m. ; Fox News, 6 p.m.; CNN, CSPAN, 7 p.m.; PBS, 8 p.m.; ABC, NBC CBS, 10 p.m.) begins today in Cleveland, with most networks weighing in at different times, but which are also just as likely to put on some panel of “experts” to chatter over every event. Your best bet for gavel to gavel coverage is CSPAN, which starts its coverage at 1 p.m. with assorted business. PBS may be worth it just for its similar lack of commercials. 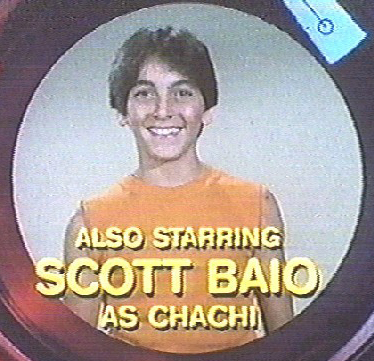 Speakers in the prime time program are a weird grab bag that includes Willie from “Duck Dynasty,” Scott Baio of “Joanie Love Chachi” and Antonio Sabato Jr., the “General Hospital” star who was on “Dancing with the Stars.” Politicians will include Rudy Giuliani and Sen. Joni Ernst. The person with the longest bio on the first night roster? Melania Trump. The theme is “Make America Safe Again” so there will be a lot of talk about walls and Benghazi. Don’t expect a lot of Mexican-American or Muslim-American speakers (or listeners in the arena). Late night shows are usually taped four hours in advance, but this week’s “Late Show with Stephen Colbert” (CBS, 11:35 p.m.) will be actually live, so as to comment on convention happenings. “The Daily Show” (Comedy Central, 11 p.m.) is also heading to Cleveland, but will begin its reports there Tuesday. Tonight, they present a special that leads up to the convention. “Full Frontal with Samantha Bee” (TBS, 10:30 p.m.) looks at preparations for the convention in Cleveland. This entry was posted in Politics, What's On TV. Bookmark the permalink. Both comments and trackbacks are currently closed.